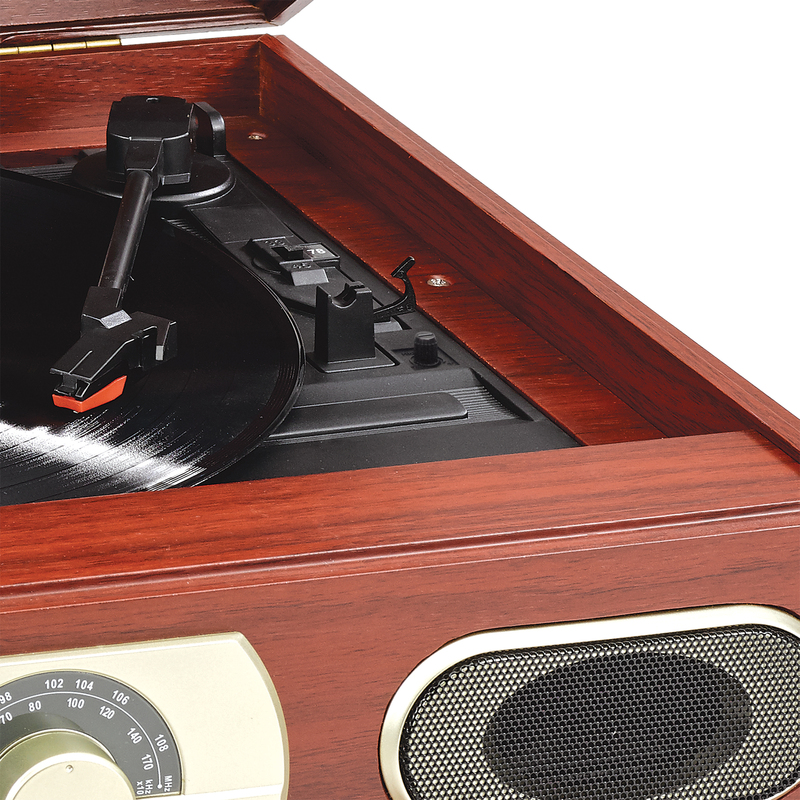 Dust off your vinyl records or dig out those cassettes and play them on the Studebaker SB6052C. The antique wooden case design gives this unit a classic, elegant look. 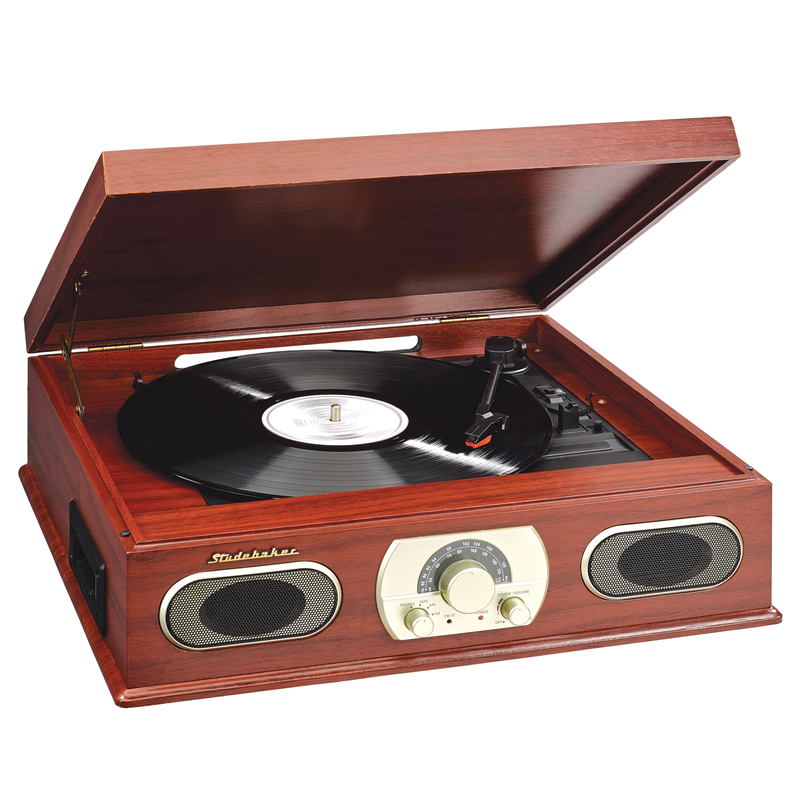 Features include a 3-Speed turntable with pitch control, AM/FM stereo radio and a side mounted cassette player. 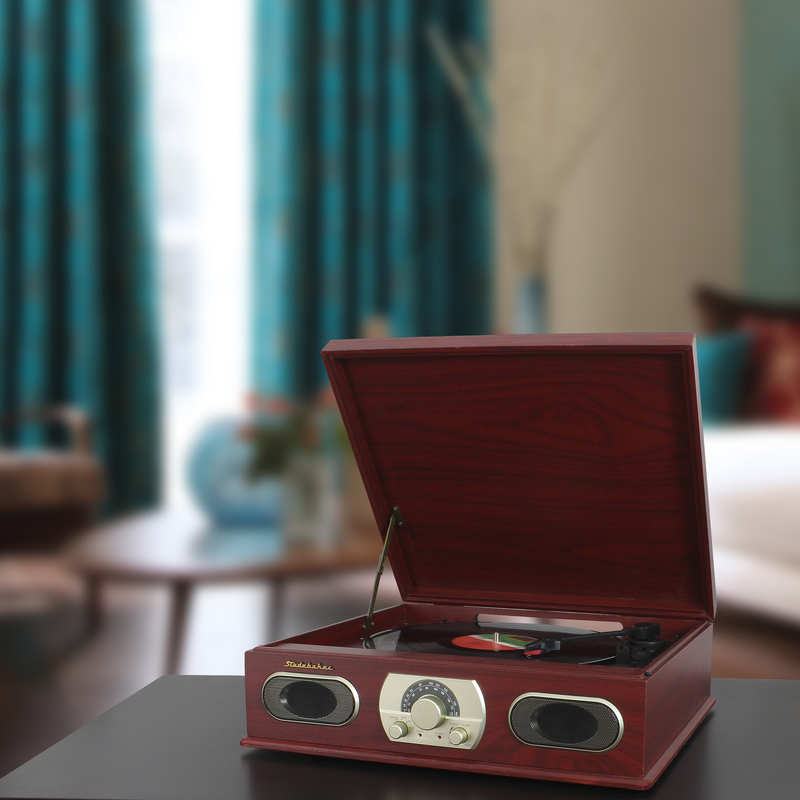 The two built-in front facing speakers project great sound and deliver 2 x 1.5W RMS output power. Also included is a line out jack, power & FM stereo LED indicators and dust cover. The unit operates on 120V AC power. 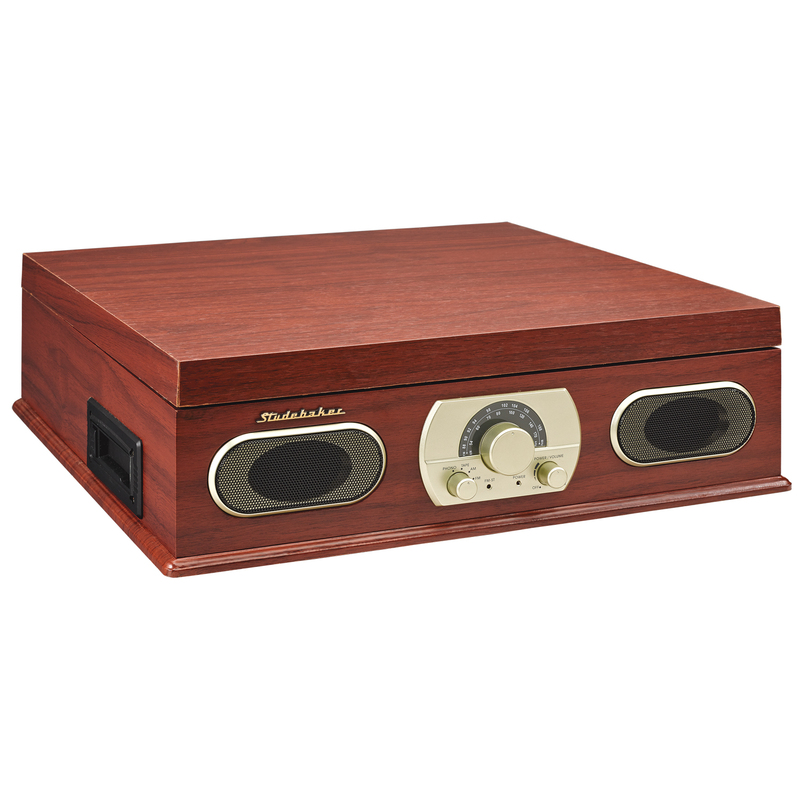 The SB6052C is packed with all the features you need at a truly incredible value!